Riced cauliflower is a tasty, light, grain free, healthier alternative to rice. It is easy to create and a fun ingredient to use by itself or in recipes. Preparation is simple. 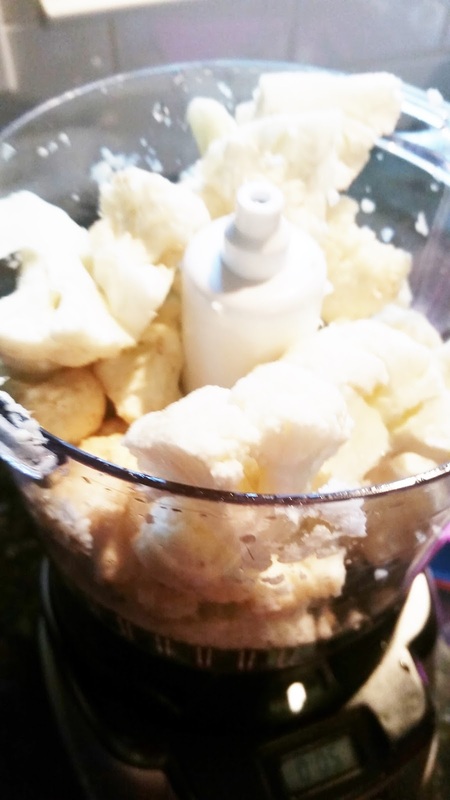 Wash and separate the florets from a head of cauliflower. Blitz them all in a food processor until grainy like rice. Sautee the "rice" in a buttered skillet until you acheive the tenderness you want. 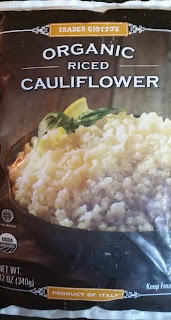 Or take the super easy but still delicious route and buy cauliflower already riced from Trader Joe's. Toss it in a skillet and heat through. Done! I have several bags of this stashed in my freezer for quick fixes. 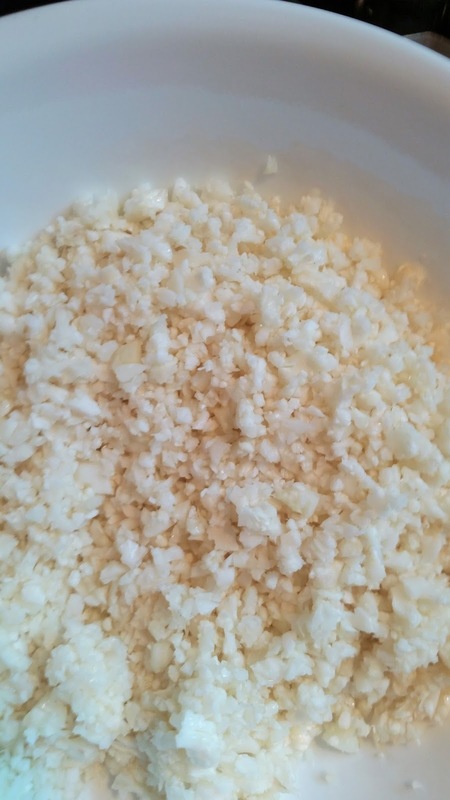 Your cauliflower rice can be used in place of rice in any recipe. 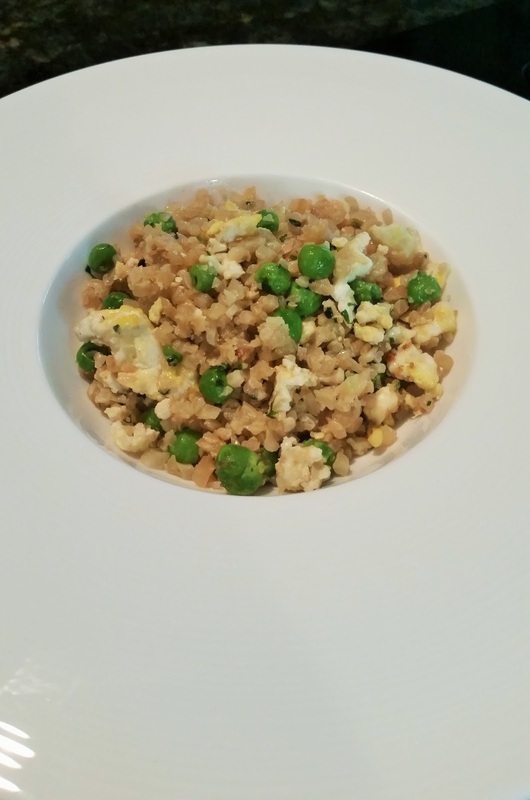 This fried rice is yummy and lightning quick to make. I used frozen riced cauliflower and cooked it until it was warmed through and tender. Then I added a few splashes of Bragg's Liquid Aminos, some fried eggs, a handful of frozen peas, green onion slivers, chopped fresh cilantro, and black pepper. Dinner was ready in 15 minutes and everyone liked it. We Are a "Blended Family"